Not surprisingly, the Australian Dental Association (ADA) prefers the customised mouthguard, citing studies reporting that the degree of protection offered by the 'boil and bite' mouthguard to be only slightly better than wearing no mouthguard at all. Mouthguards should be worn whilst playing and training any sport where there is potential for contact to the face. These sports include football, netball, basketball, hockey, skateboarding, snowboarding and skiing, to name a few. So is a mouthguard just a mouthguard? Using the principles of neuromuscular dentistry, these dentists are trained to provide performance mouthguards which precisely position an athlete's jaw into a stable position. Athletes wearing performance mouthguards have been found to have improvements in strength, flexibility, balance and endurance. Athletes across the world who have taken up this technology include golfers, swimmers, Olympic downhill skiiers, triathletes, footy and soccer players and baseballers. Performance mouthguards have already begun to infiltrate our elite AFL teams such as Geelong, Essendon and the Gold Coast Suns, along with several rugby teams. So improve your family photos, prevent a lifelong legacy and wear a performance mouthguard. 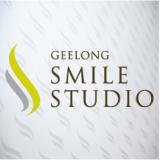 Geelong Smile Studio offers top-quality preventative and cosmetic dentistry in Geelong and the surrounding area, providing a truly professional service for exceptional results. Wednesday, 27 August 2014 How to get the smile you love! - Free information evening!